Did your check engine light recently come on? This is no time to panic, but you should also not ignore it. 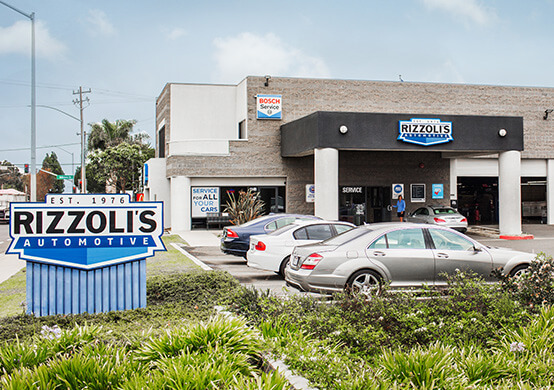 We understand that a visit to your favorite auto repair shop–Rizzoli’s Automotive–may not be at the top of your to-do list. However, the reason for your check engine light alert may be because you’ve missed too many appointments with us. Vehicle neglect is the most common cause for a check engine light. Our customers who are consistent with their maintenance service plan give us the opportunity to recognize and service problems before they compromise road travel. The check engine light is typically an early alert, meaning there are no other signs or symptoms that accompany the dashboard alert. Vehicle owners will often think that this means that the problem is not serious. This is a mistake, because there’s no way of knowing the cause of your check engine light. There could be a variety of problems going on under the hood, and they’re only getting worse with time. Even if you don’t panic, you’re sure to have a lot of questions about your check engine light; namely, “What, Why, and How much?” The worst thing that drivers can do (after ignoring the light) is to try to self-diagnose. Find out the truth from a repair shop that you can trust. Rizzoli’s Automotive is all about saving you precious time and money. Actually we’re all about being accurate too. It does no one any good to play a guessing game with your check engine light in order to be quick. We don’t want you returning to our shop for the same services anymore than you do. 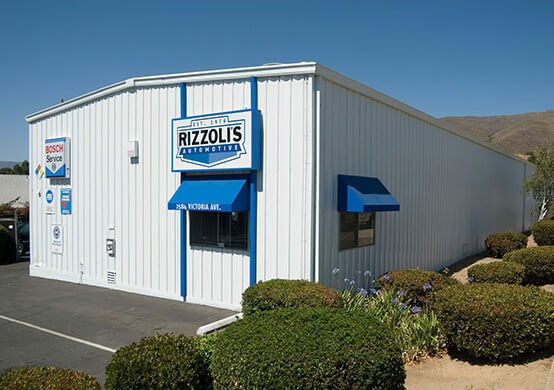 Rizzoli’s Automotive in Santa Maria, CA has the accurate diagnostic equipment that you can trust. Our customers are used to us coming through for them regarding engine diagnostic checks. They can trust that the qualified team at Rizzoli’s Automotive will handle it, whatever it is. We design effective maintenance service plans and perform complete repairs that usually prevent check engine lights. Vehicle neglect is often the cause of the dashboard light. The engine is practically “begging” to receive some special attention. If your engine could speak, we believe it would choose Rizzoli’s Automotive to inspect, diagnose, service or repair your vehicle. No need to waste time, guesstimating your vehicle’s needs. It takes much more than an educated guess to keep your vehicle in optimal condition. The check engine light is designed to be an early alert that gives you enough time to get to Rizzoli’s Automotive. Our team is looking forward to solving your check engine light mystery, so give us a call as soon as possible. The initial alert is a solid red/orange light, and we need to get a look under the hood before it starts to blink. That’s officially an emergency that can leave you stranded on the side of the road. Give us a call today at 805-922-7742 to schedule your next service appointment. You can save time by scheduling right now using our convenient online scheduling system. Next time you’re in the area–1149 W. Tama Lane–feel free to stop by with any questions or concerns. We gladly accept all of our walk-in customers.